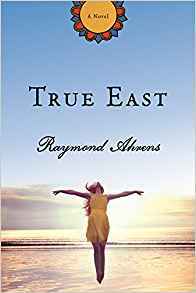 Raymond Ahrens is the author of the new novel True East, which focuses on a woman searching for her missing husband in the Amazon. 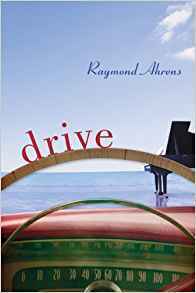 He also has written the novel Drive. He lives in Newton, Massachusetts, and Del Ray Beach, Florida. Q: How did you come up with the idea for True East and for your character Katy? A: The seed of True East sprang from a simple question. Two people “visit” an exotic city: one travels there, but has little memory of it, the other never goes, but creates a permanent image scraped together from TV, the internet, and Google maps. Which person’s recollection is the “correct” one? Q: Do you know how your novels will end before you start writing them, or do you make many changes along the way? A: Writing a novel is similar to running a marathon. One pictures the starting line, visualizes the finish, but what happens in between is unimaginable. An example: I knew from the start that Katy would fly from Rio to Manaus, but before I reached that point in writing True East I stumbled upon an article about Fordlandia, which not only was the proper distance for refueling, but more importantly was emblematic of failed American exceptionalism. 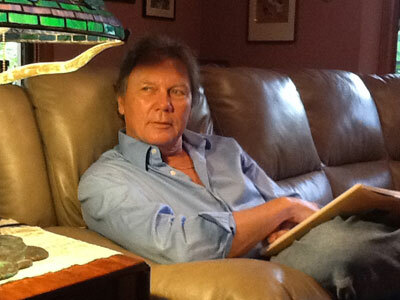 Q: How did you choose the title True East for this novel, and what does it signify for you? A: The title “True East” was there from the beginning, meaning the sun rising in the east simultaneously everywhere on earth on the spring equinox, but as the novel evolved it was also the direction of the first exodus by humankind out of Africa. Q: How important is setting in your writing? A: The Amazon was important. As Katy makes her way upstream (cleansing), it is a repudiation of the horrors Joseph Conrad witnessed in his great novella Heart of Darkness. Rio was fun and helped with the suspense. Concord reflected the depth of Katy’s despair and challenges Emerson’s lovely Transcendentalism, regarding his silence on America’s treatment of Native Americans. A: I have returned to “Requiem in Granite,” a story I spent eight years on before casting it aside. A stronger writer now, I have learned that a novel is more than a collage of images, ideas, and poetry— it is first and foremost, a story. A: Having studied English literature, I would love to teach a course on True East, or do the soundtrack for the movie, concluding with “Over the Love,” from The Great Gatsby, which echoes the novel’s ending, as “Young and Beautiful” initiates Katy’s journey into self-reliance.